Featuring our Beautiful Blue Glass Adult Cremation Urn. This urn is accented with a pedestal base and recessed glass top. These urns are made by master glass blowers in the Pacific Northwest. Blown glass offers a way to create a unique visual memory of your loved one. Since no two urns will ever be exactly the same, each urn will be as individual as the person they honor. These wonderful memorial urns can also be displayed as dramatic pieces of art in your home. The photo shown is a close representation of the style urn in the Water Palette colors which tend to be the multiple blue shades and hues one sees in water. This is a professional photo with bright lighting to show the colors better. 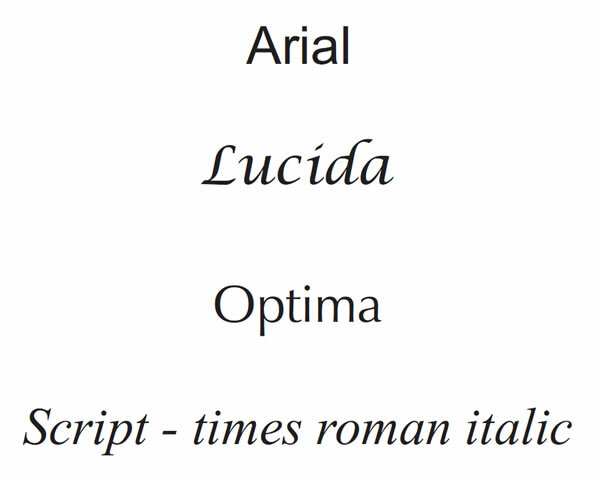 The urn you receive will probably appear darker in color. You can see other urns with the Water Palette colors by clicking on the smaller images. The tops for the urns are made of glass. If you intend to have access to the cremains in the future, you can use QuakeHOLD or museum putty. A pliable sealer like silicone window sealer can also be used and can be cut open in the future without damage to the urn. If you want to permanently seal the urn, Gorilla Glue, Krazy Glue, or a similar product will bond the cap or top to the urn at or greater than the strength of the glass itself. 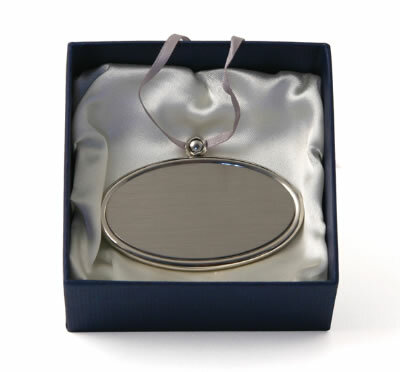 You may purchase a Silver or Gold Oval Pendant Name Plate or a Medallion Name Plate if you would like to personalize the urn. 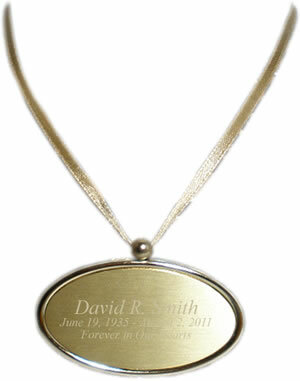 You can view the different name plates by visiting our Personalize category. Name plates ship separately via USPS Priority Mail. Approximately 11 1/2" high x 8 1/2" wide. Since each glass urn is individually blown, each will vary slightly in height and diameter. If your urn is to be placed in a niche, please be sure to inform us of the inside dimensions of the niche so that we can be sure the urn we ship will fit the niche. Volume: Holds approximately 220 cubic inches which is large enough for most persons less than 6 feet tall with healthy body weights less than 210 lbs. Please call 800-511-0295 regarding custom size urns. If you need an urn that holds more than 200 cubic inches, the cost is an extra $50.00 for each additional 20 cubic inches. Please allow 3-5 business days before urn ships. If an urn needs to be a specific size to fit a niche, or if an urn needs to be made in a larger size than 200 cubic inches, please allow up to two weeks before the item ships. We can expedite orders somewhat if a memorial service date needs to be met. Please call 800-511-0295 if you have any questions. Ships from the West Coast.